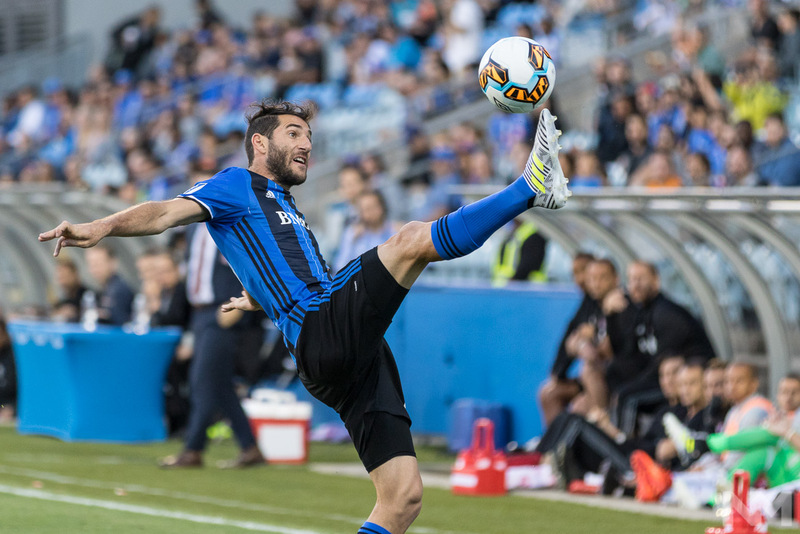 Montreal Impact midfielder Ignacio Piatti (10) tries to control the ball during the first-leg match of the Canadian Championship Final between the Montreal Impact and Toronto FC, on June 21 2017, at Stade Saputo, in Montreal, Quebec, Canada. (Photo: Pablo A. Ortiz / NM Noticias). 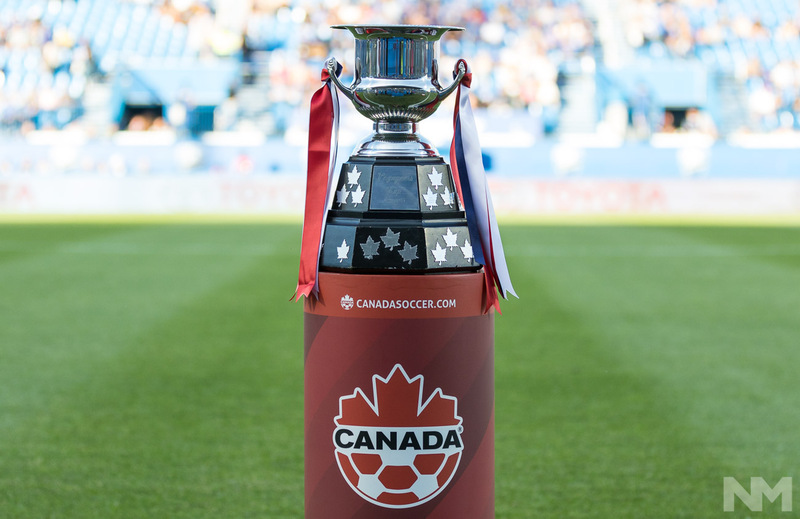 El partido de ida de la final de la Copa Canadiense terminó en armisticio. 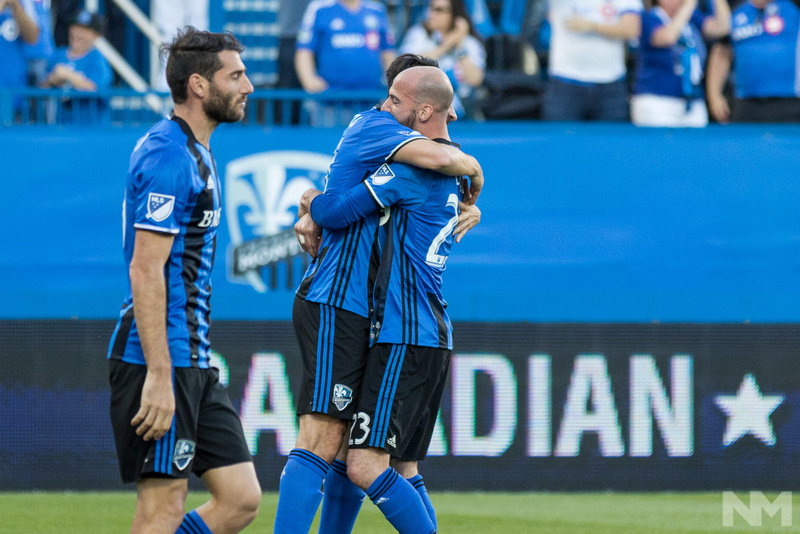 El Impact de Montreal picó adelante, pero Toronto FC supo aprovechar una oportunidad y vuelve a casa con un empate. Eso teniendo en cuenta que pasó lo que nunca sucede: Nacho Piatti falló un penal. El argentino mandó sobre el arco el tiro de los 12 pasos en la segunda mitad, cuando Montreal tenía todo listo para retomar la ventaja ante su rival de siempre. El Clásico Canadiense terminó 1-1 y el campeón de esta edición se definirá el próximo 27 de junio en el BMO Field de Toronto. Por el Impact marcó el italiano Matteo Mancosu, mientras que por Toronto lo hizo el estadounidense Jozy Altidore. Sin embargo, Toronto tendrá otra oportunidad de declararse ganador. TFC ganó la edición de 2016, pero por ajuste de calendario no pudo representar a Canadá en la Liga de Campeones de Concacaf. 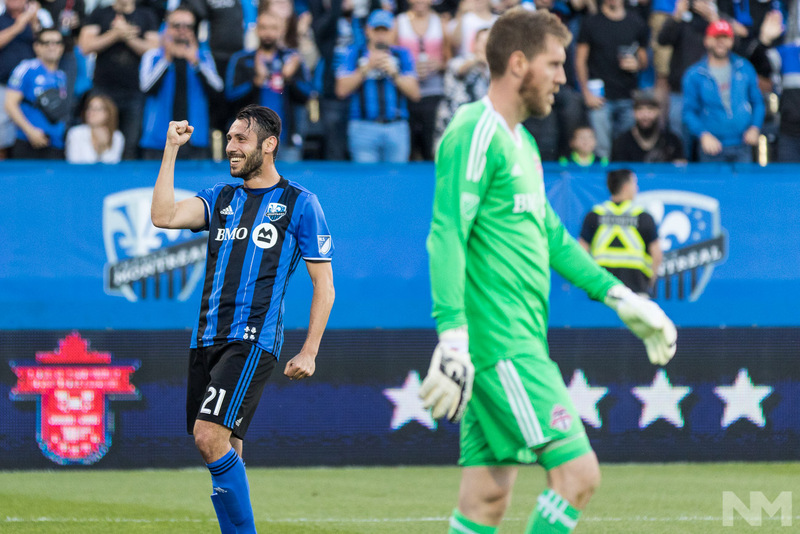 Si Montreal gana, ambos rivales se verán una vez más, en un partido de eliminación directa, para definir quién va al torneo continental en representación del país. 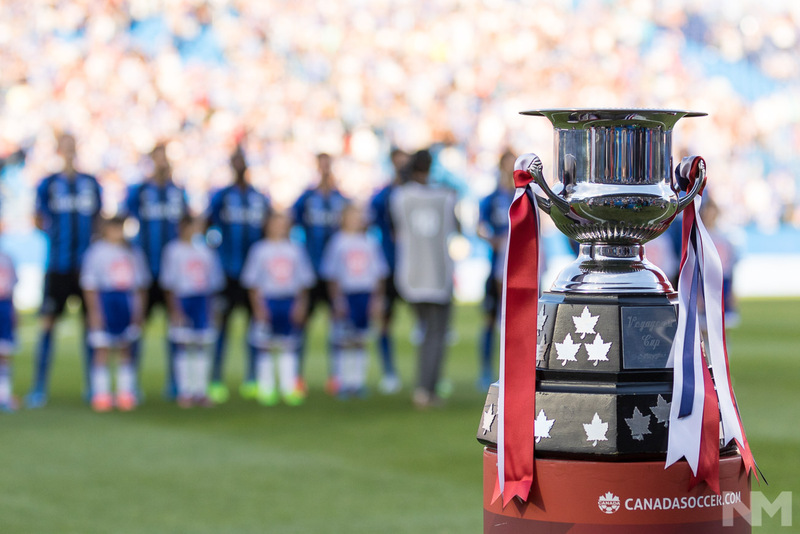 The Voyageurs Cup is showcased before the first-leg match of the Canadian Championship Final between the Montreal Impact and Toronto FC, on June 21 2017, at Stade Saputo, in Montreal, Quebec, Canada. (Photo: Pablo A. Ortiz / NM Noticias). 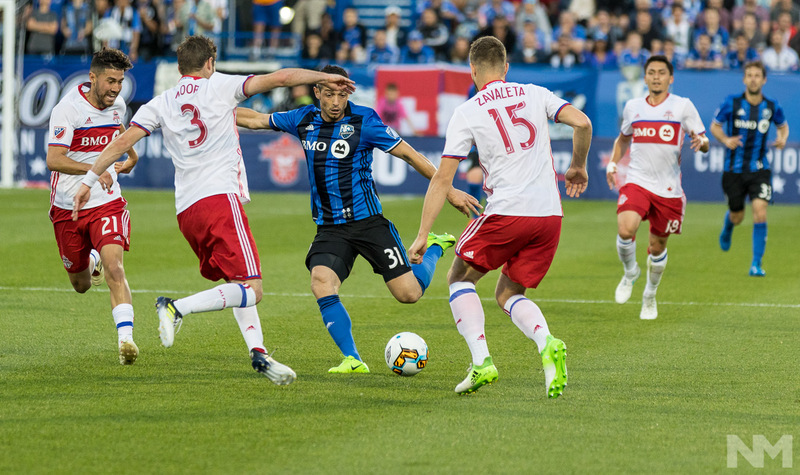 Montreal Impact Andrés Romero (right) during the first-leg match of the Canadian Championship Final between the Montreal Impact and Toronto FC, on June 21 2017, at Stade Saputo, in Montreal, Quebec, Canada. (Photo: Pablo A. Ortiz / NM Noticias). 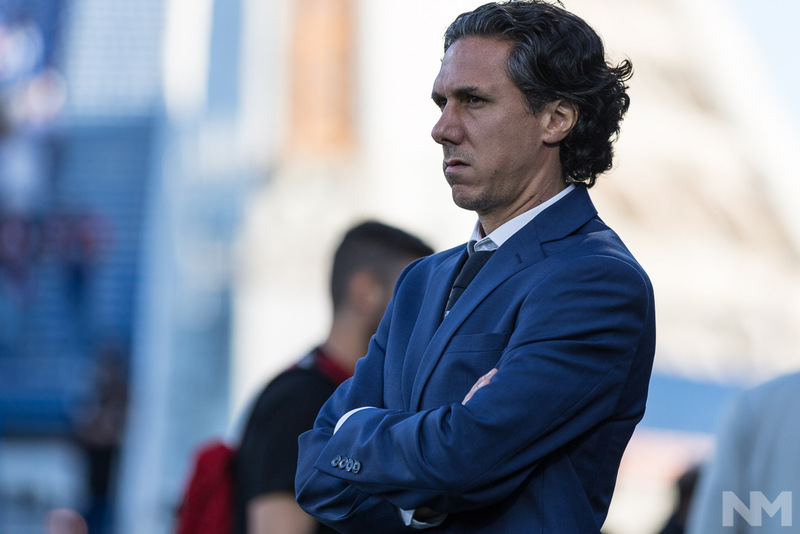 Montreal Impact head coach Mauro Biello during the first-leg match of the Canadian Championship Final between the Montreal Impact and Toronto FC, on June 21 2017, at Stade Saputo, in Montreal, Quebec, Canada. (Photo: Pablo A. Ortiz / NM Noticias). 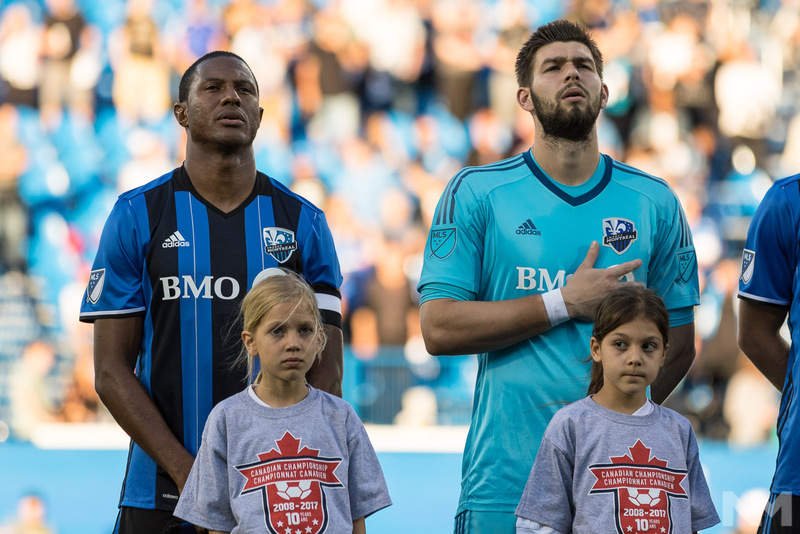 Patrice Bernier (8) and Maxime Crépeau (40) singing the Canadian anthem during the first-leg match of the Canadian Championship Final between the Montreal Impact and Toronto FC, on June 21 2017, at Stade Saputo, in Montreal, Quebec, Canada. (Photo: Pablo A. Ortiz / NM Noticias). 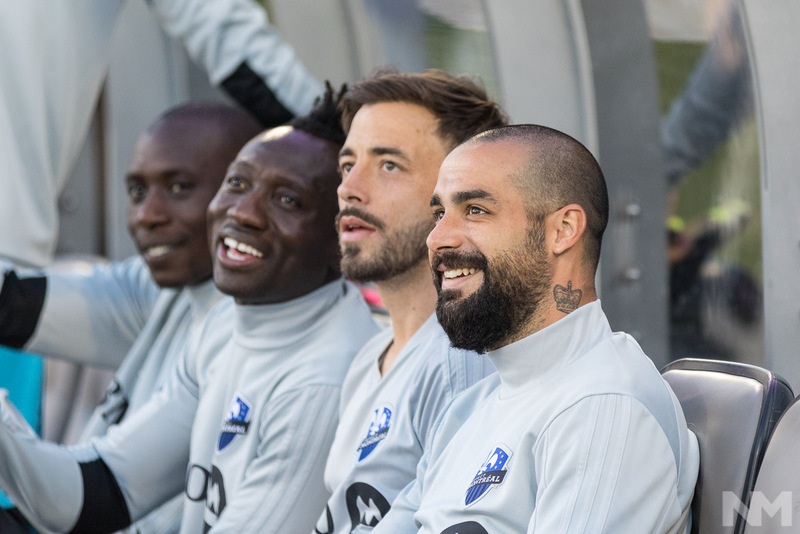 The Montreal Impact starting lineup behind the Voyageurs Cup during the first-leg match of the Canadian Championship Final between the Montreal Impact and Toronto FC, on June 21 2017, at Stade Saputo, in Montreal, Quebec, Canada. (Photo: Pablo A. Ortiz / NM Noticias). 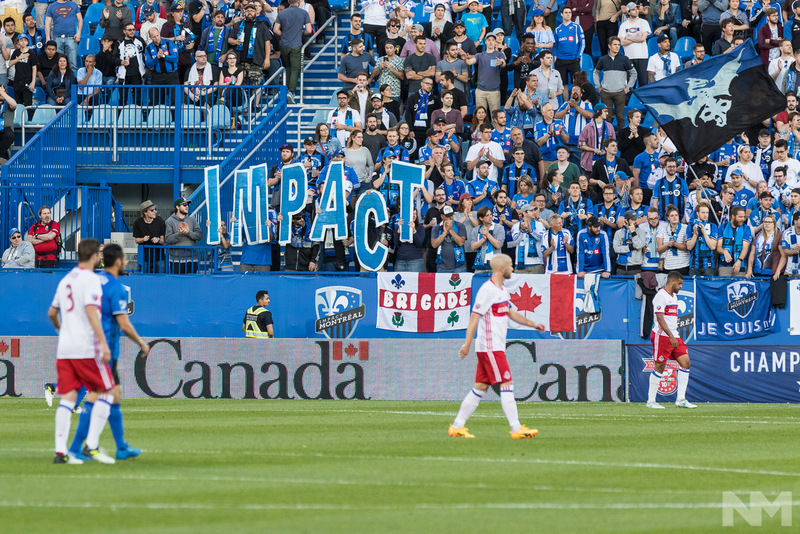 Montreal fans showing a banner during the first-leg match of the Canadian Championship Final between the Montreal Impact and Toronto FC, on June 21 2017, at Stade Saputo, in Montreal, Quebec, Canada. (Photo: Pablo A. Ortiz / NM Noticias). 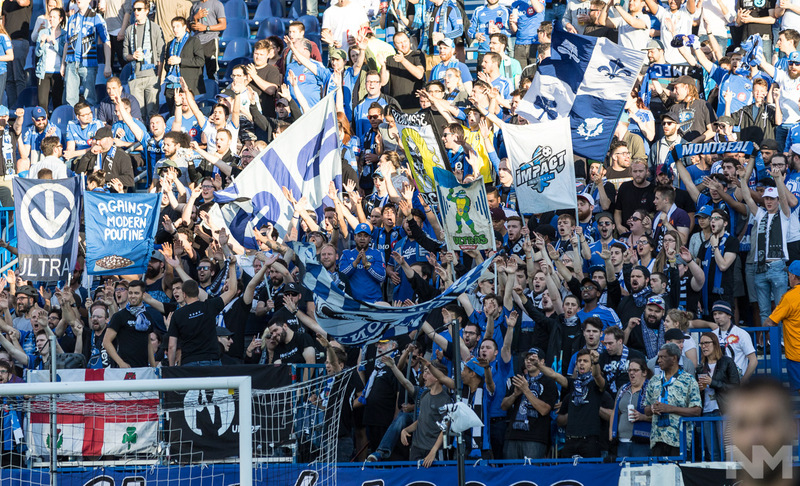 Ultras the Montréal during the first-leg match of the Canadian Championship Final between the Montreal Impact and Toronto FC, on June 21 2017, at Stade Saputo, in Montreal, Quebec, Canada. (Photo: Pablo A. Ortiz / NM Noticias). 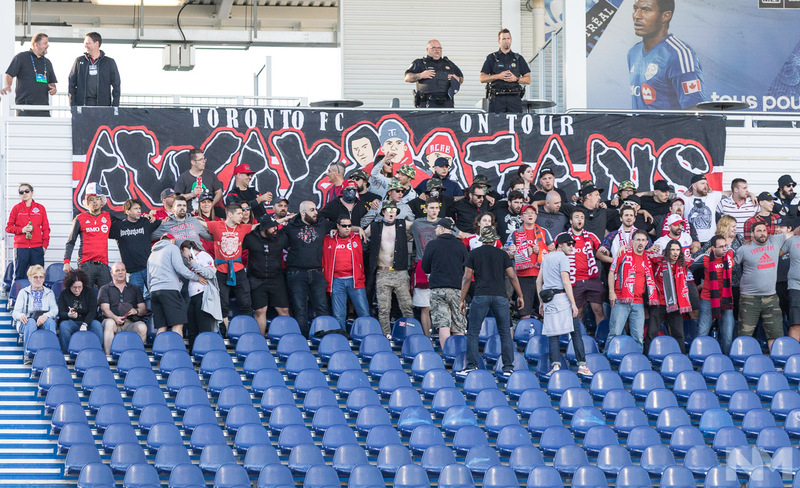 Toronto FC fans during the first-leg match of the Canadian Championship Final between the Montreal Impact and Toronto FC, on June 21 2017, at Stade Saputo, in Montreal, Quebec, Canada. (Photo: Pablo A. Ortiz / NM Noticias). 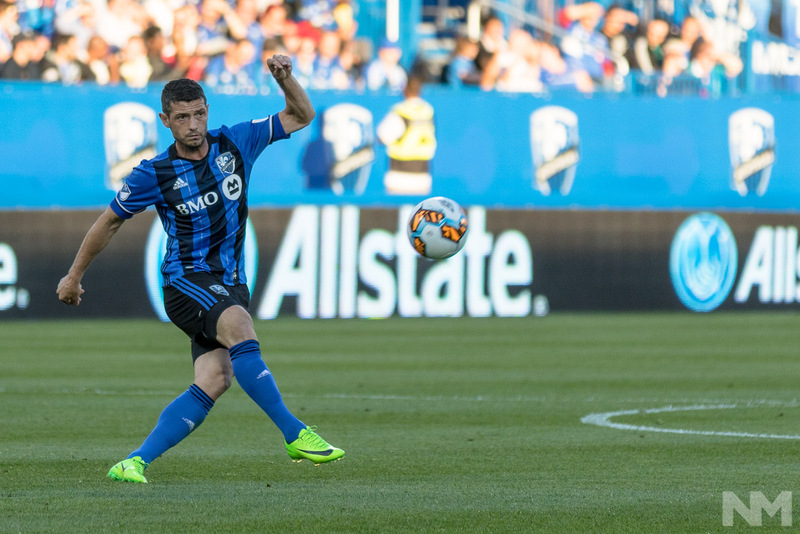 Montreal Impact midfielder Blerim Dzemaili (31) controls the ball during the first-leg match of the Canadian Championship Final between the Montreal Impact and Toronto FC, on June 21 2017, at Stade Saputo, in Montreal, Quebec, Canada. (Photo: Pablo A. Ortiz / NM Noticias). 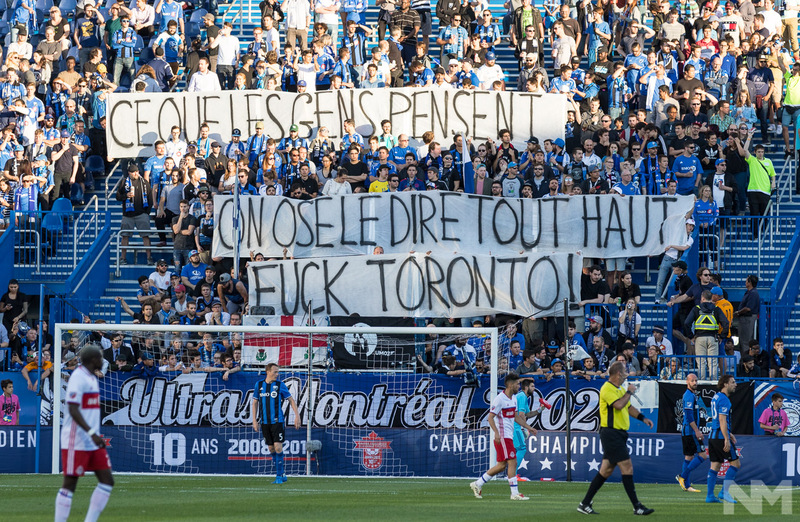 The Ultras de Montréal showing a banner during the first-leg match of the Canadian Championship Final between the Montreal Impact and Toronto FC, on June 21 2017, at Stade Saputo, in Montreal, Quebec, Canada. (Photo: Pablo A. Ortiz / NM Noticias). 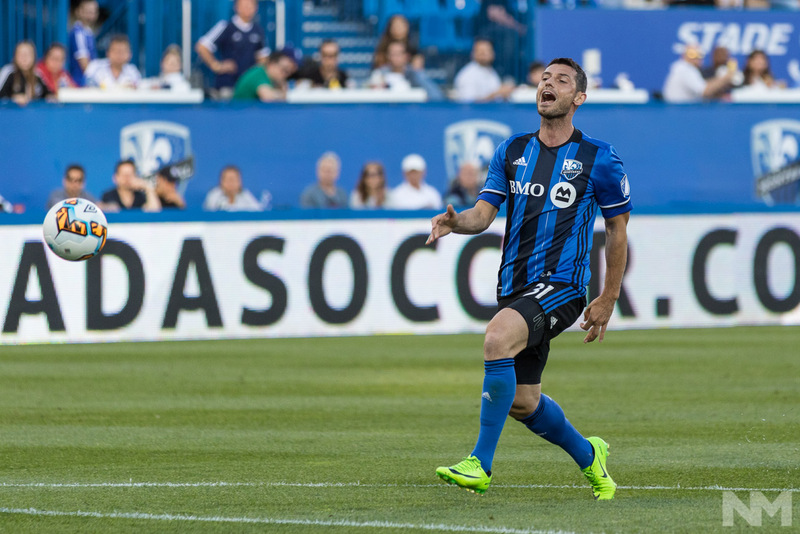 Montreal Impact midfielder Blerim Dzemaili (31) during the first-leg match of the Canadian Championship Final between the Montreal Impact and Toronto FC, on June 21 2017, at Stade Saputo, in Montreal, Quebec, Canada. (Photo: Pablo A. Ortiz / NM Noticias). 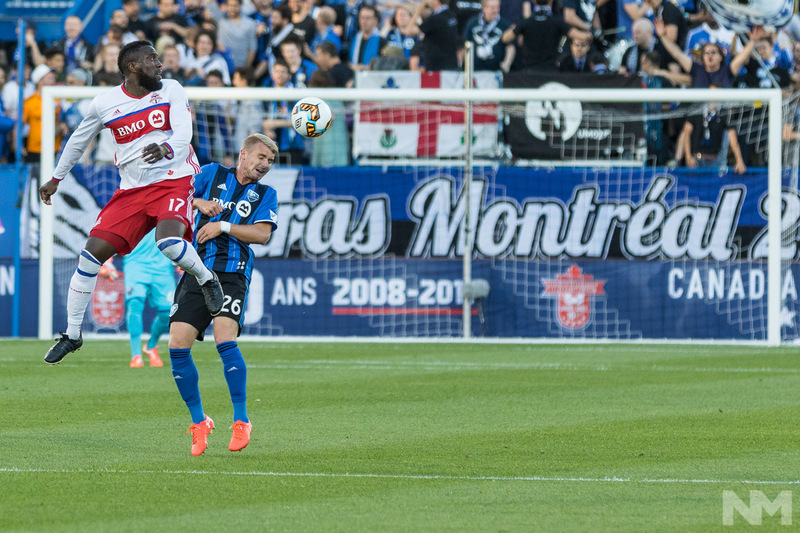 Toronto FC’s Jozy Altidore (17) and Montreal Impact’s Kyle Fisher (26) during the first-leg match of the Canadian Championship Final between the Montreal Impact and Toronto FC, on June 21 2017, at Stade Saputo, in Montreal, Quebec, Canada. (Photo: Pablo A. Ortiz / NM Noticias). 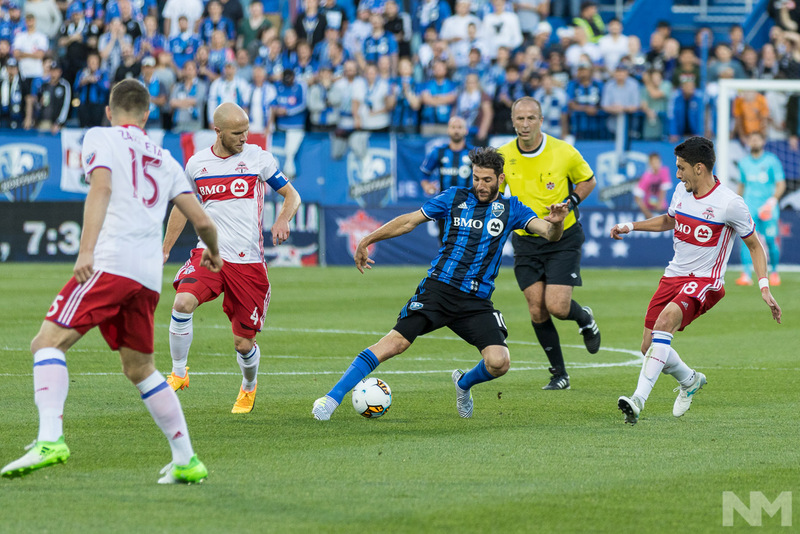 Montreal Impact midfielder Ignacio Piatti (10) during the first-leg match of the Canadian Championship Final between the Montreal Impact and Toronto FC, on June 21 2017, at Stade Saputo, in Montreal, Quebec, Canada. (Photo: Pablo A. Ortiz / NM Noticias). 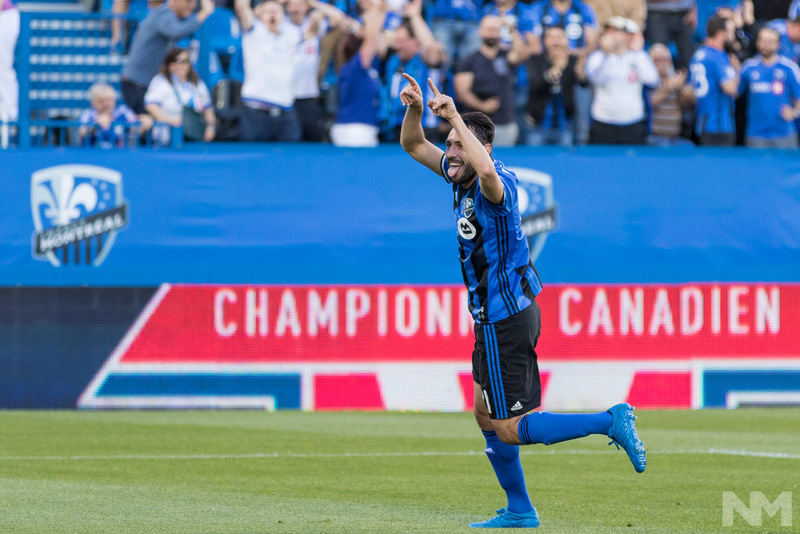 Montreal Impact striker Matteo Mancosu (21) celebrates his goal during the first-leg match of the Canadian Championship Final between the Montreal Impact and Toronto FC, on June 21 2017, at Stade Saputo, in Montreal, Quebec, Canada. (Photo: Pablo A. Ortiz / NM Noticias). 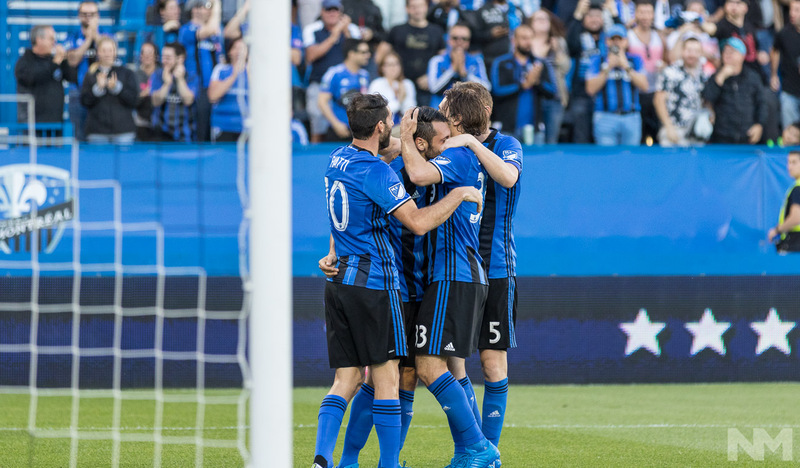 Montreal Impact players celebrating a goal during the first-leg match of the Canadian Championship Final between the Montreal Impact and Toronto FC, on June 21 2017, at Stade Saputo, in Montreal, Quebec, Canada. (Photo: Pablo A. Ortiz / NM Noticias). Toronto FC Jozy Altidore (17) takes a free kick during the first-leg match of the Canadian Championship Final between the Montreal Impact and Toronto FC, on June 21 2017, at Stade Saputo, in Montreal, Quebec, Canada. (Photo: Pablo A. Ortiz / NM Noticias). 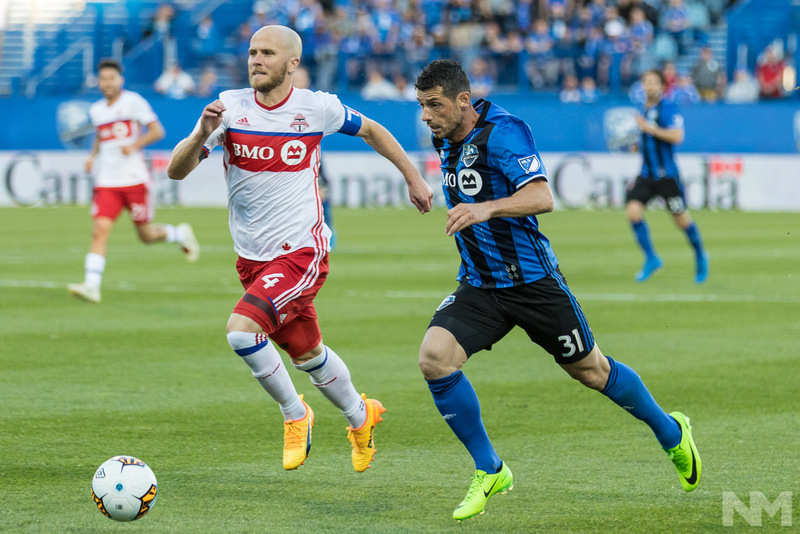 Montreal Impact Blerim Dzemaili (31) and Toronto FC Michael Bradley (4) running after the ball during the first-leg match of the Canadian Championship Final between the Montreal Impact and Toronto FC, on June 21 2017, at Stade Saputo, in Montreal, Quebec, Canada. (Photo: Pablo A. Ortiz / NM Noticias). 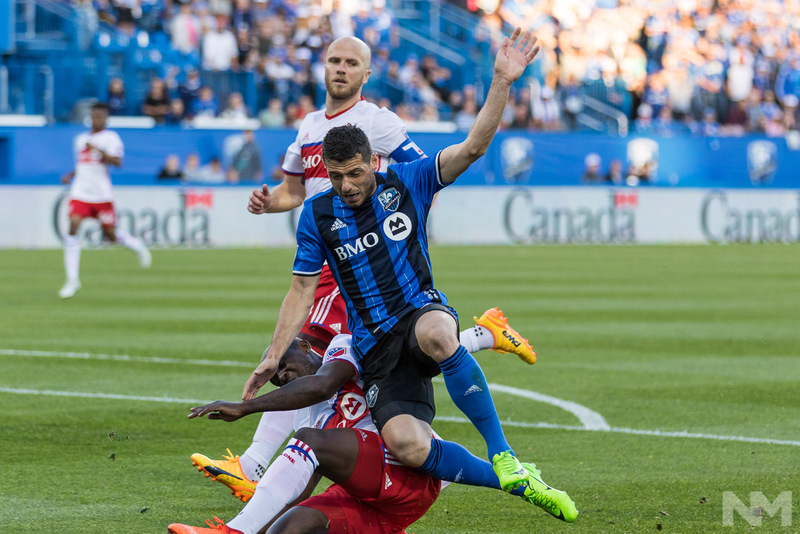 Montreal Impact Blerim Dzemaili (31) gets tackled during the first-leg match of the Canadian Championship Final between the Montreal Impact and Toronto FC, on June 21 2017, at Stade Saputo, in Montreal, Quebec, Canada. (Photo: Pablo A. Ortiz / NM Noticias). 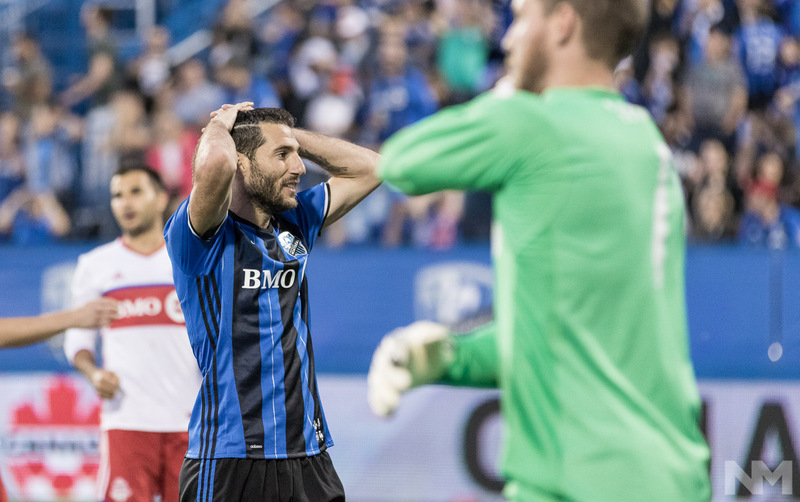 Montreal midfielder Ignacio Piatti (10) grabs his head after missing a penalty during the first-leg match of the Canadian Championship Final between the Montreal Impact and Toronto FC, on June 21 2017, at Stade Saputo, in Montreal, Quebec, Canada. (Photo: Pablo A. Ortiz / NM Noticias). 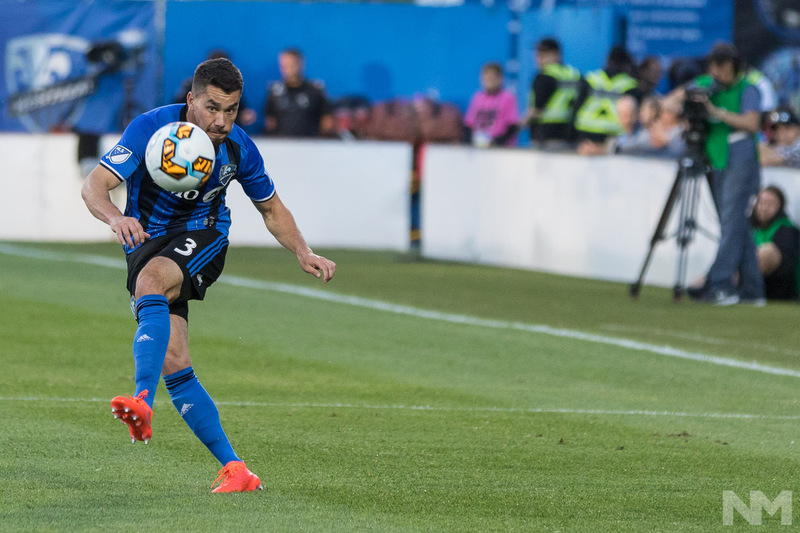 Montreal Impact Daniel Lovitz (3) during the first-leg match of the Canadian Championship Final between the Montreal Impact and Toronto FC, on June 21 2017, at Stade Saputo, in Montreal, Quebec, Canada. (Photo: Pablo A. Ortiz / NM Noticias). 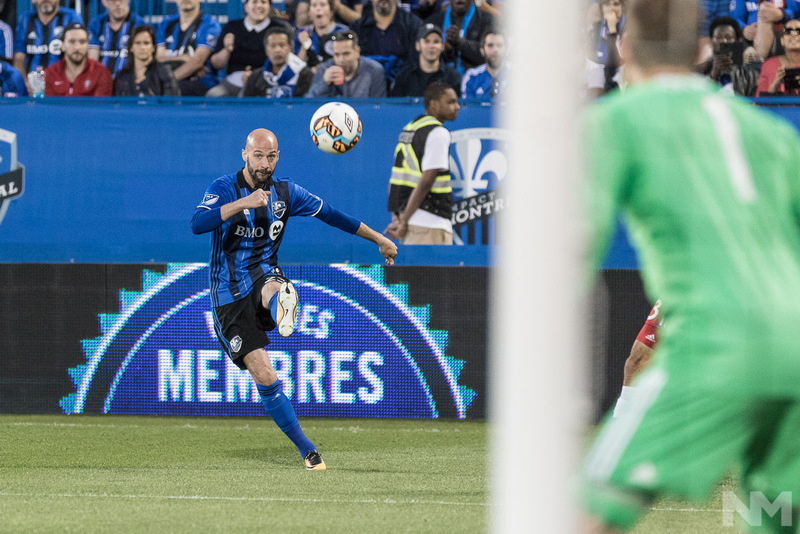 Montreal defender Laurent Ciman (23) during the first-leg match of the Canadian Championship Final between the Montreal Impact and Toronto FC, on June 21 2017, at Stade Saputo, in Montreal, Quebec, Canada. (Photo: Pablo A. Ortiz / NM Noticias). 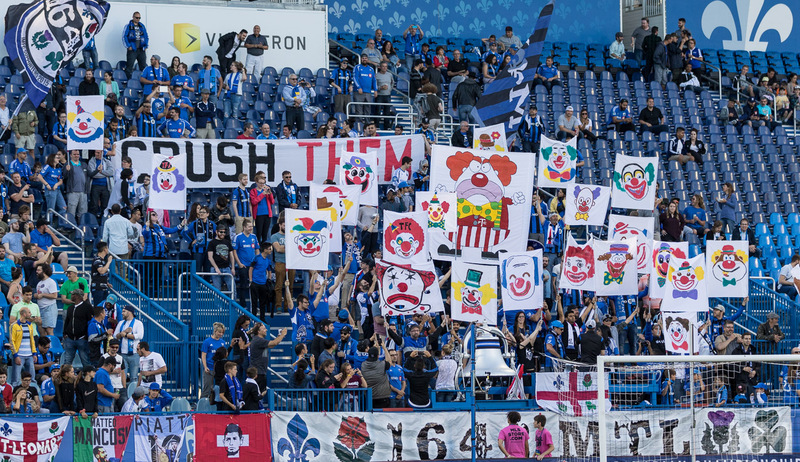 Fans holding a sign during the first-leg match of the Canadian Championship Final between the Montreal Impact and Toronto FC, on June 21 2017, at Stade Saputo, in Montreal, Quebec, Canada. (Photo: Pablo A. Ortiz / NM Noticias). 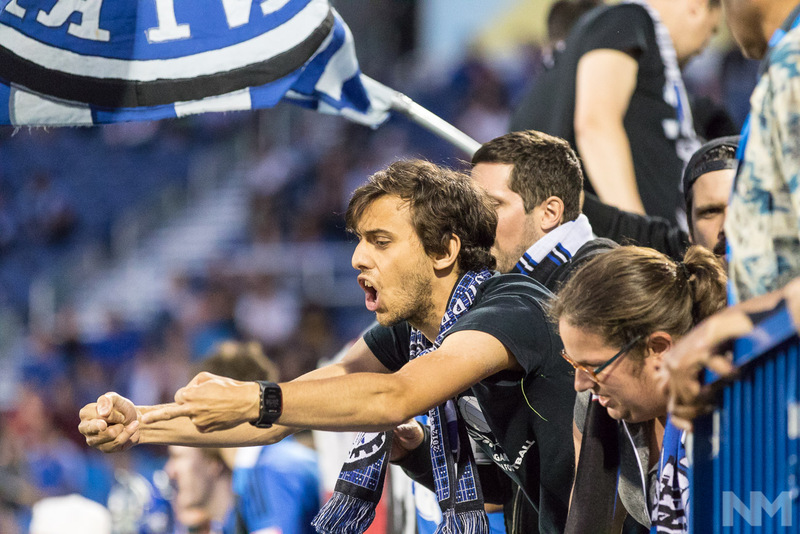 A fan gives the middle finger to rival fans during the first-leg match of the Canadian Championship Final between the Montreal Impact and Toronto FC, on June 21 2017, at Stade Saputo, in Montreal, Quebec, Canada. (Photo: Pablo A. Ortiz / NM Noticias). 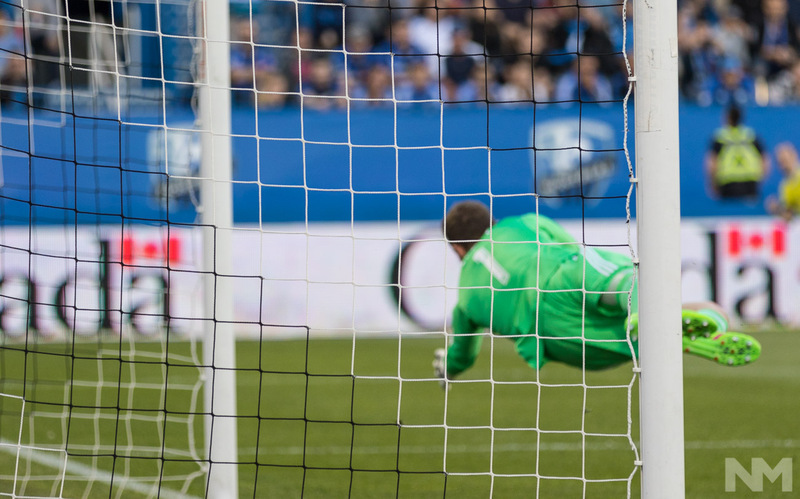 Toronto goalkeeper Clint Irwin (1) reaches for the ball during the first-leg match of the Canadian Championship Final between the Montreal Impact and Toronto FC, on June 21 2017, at Stade Saputo, in Montreal, Quebec, Canada. (Photo: Pablo A. Ortiz / NM Noticias). 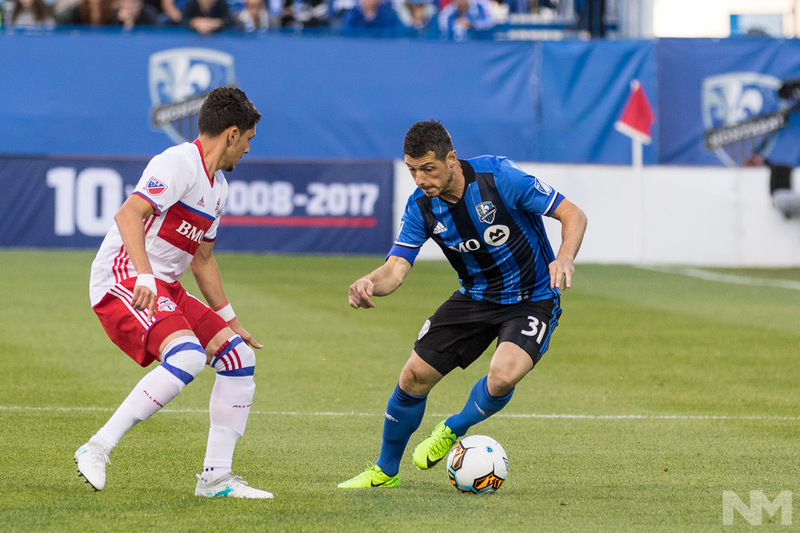 Montreal Blerim Dzemaili (31) and Toronto Jonathan Osorio (21) fighting for the ball during the first-leg match of the Canadian Championship Final between the Montreal Impact and Toronto FC, on June 21 2017, at Stade Saputo, in Montreal, Quebec, Canada. (Photo: Pablo A. Ortiz / NM Noticias). 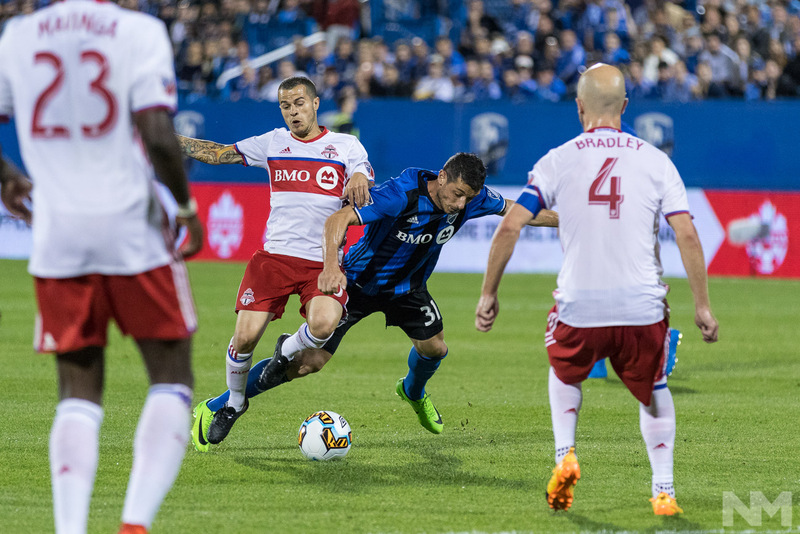 Montreal Blerim Dzemaili (31) gets surrounded by Toronto defenders during the first-leg match of the Canadian Championship Final between the Montreal Impact and Toronto FC, on June 21 2017, at Stade Saputo, in Montreal, Quebec, Canada. (Photo: Pablo A. Ortiz / NM Noticias). 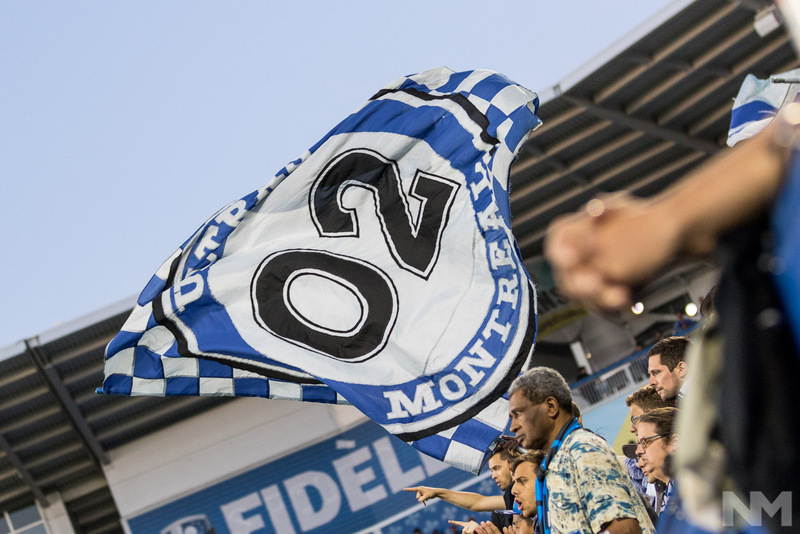 An Ultras de Montréal banner flies during the first-leg match of the Canadian Championship Final between the Montreal Impact and Toronto FC, on June 21 2017, at Stade Saputo, in Montreal, Quebec, Canada. (Photo: Pablo A. Ortiz / NM Noticias). 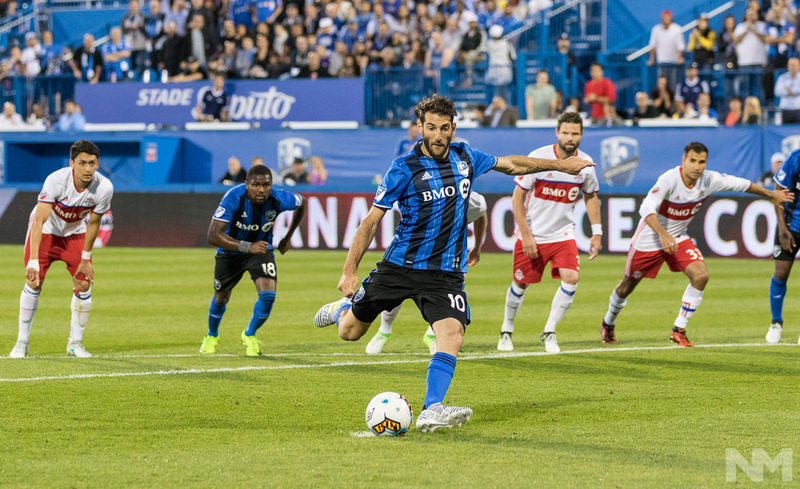 Montreal Ignacio Piatti (10) kicks a penalty during the first-leg match of the Canadian Championship Final between the Montreal Impact and Toronto FC, on June 21 2017, at Stade Saputo, in Montreal, Quebec, Canada. (Photo: Pablo A. Ortiz / NM Noticias). 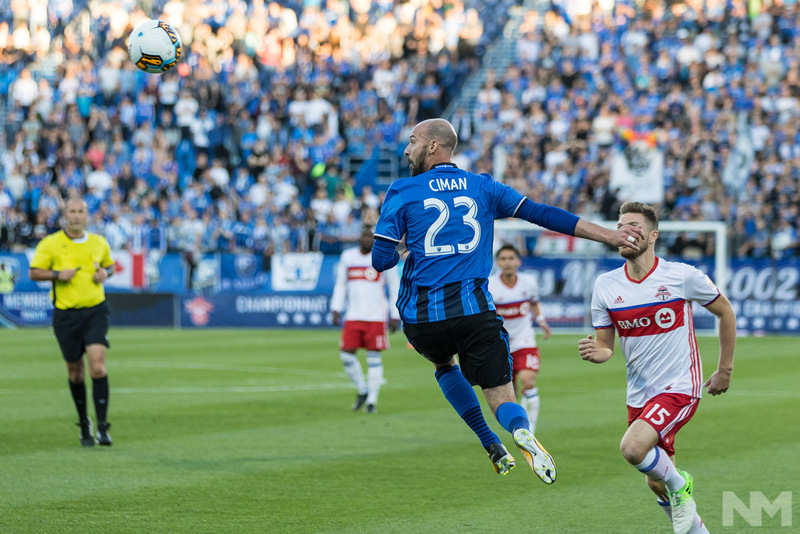 Montreal defender Laurent Ciman (23) crosses the ball during the first-leg match of the Canadian Championship Final between the Montreal Impact and Toronto FC, on June 21 2017, at Stade Saputo, in Montreal, Quebec, Canada. (Photo: Pablo A. Ortiz / NM Noticias). 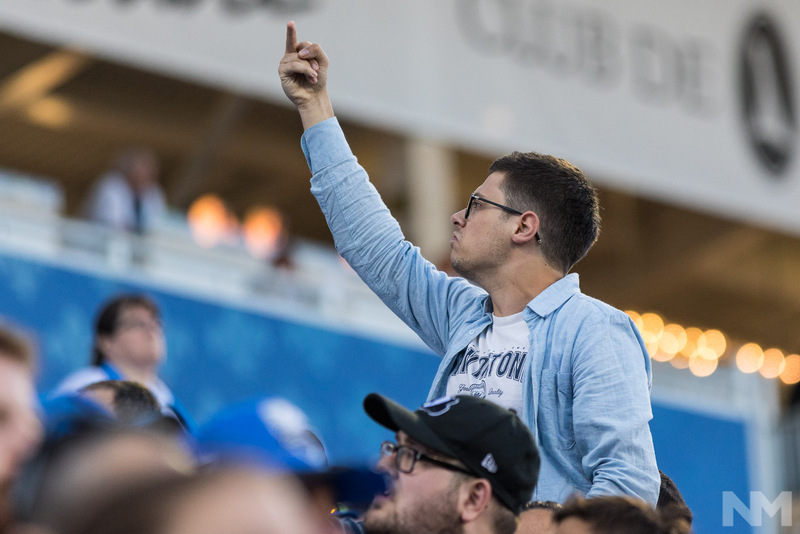 A Montreal fan gives the middle finger during the first-leg match of the Canadian Championship Final between the Montreal Impact and Toronto FC, on June 21 2017, at Stade Saputo, in Montreal, Quebec, Canada. (Photo: Pablo A. Ortiz / NM Noticias). 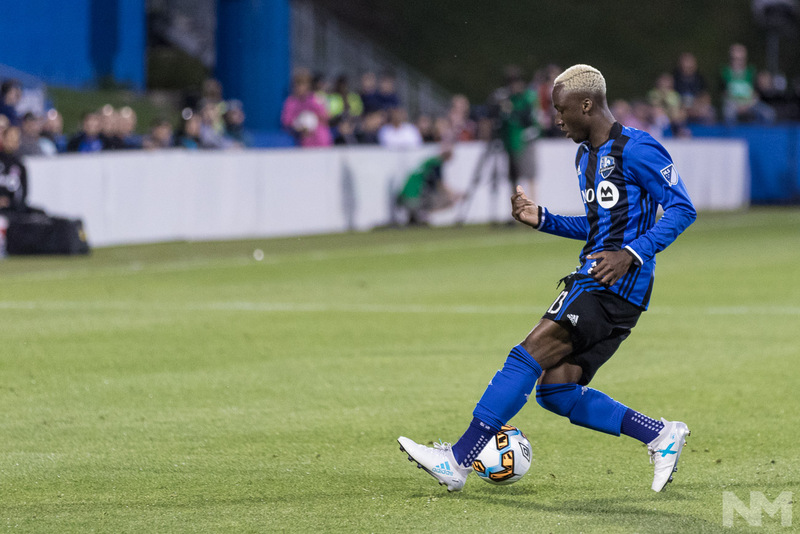 Montreal midfielder Ballou Jean-Yves Tabla (13) controls the ball during the first-leg match of the Canadian Championship Final between the Montreal Impact and Toronto FC, on June 21 2017, at Stade Saputo, in Montreal, Quebec, Canada. (Photo: Pablo A. Ortiz / NM Noticias). 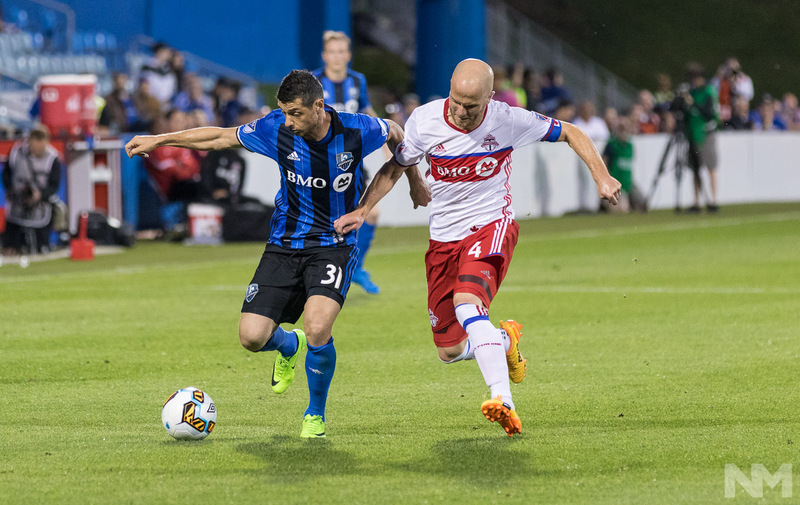 Montreal Blerim Dzemaili (31) and Toronto Michael Bradley (4) fight for the ball during the first-leg match of the Canadian Championship Final between the Montreal Impact and Toronto FC, on June 21 2017, at Stade Saputo, in Montreal, Quebec, Canada. (Photo: Pablo A. Ortiz / NM Noticias). 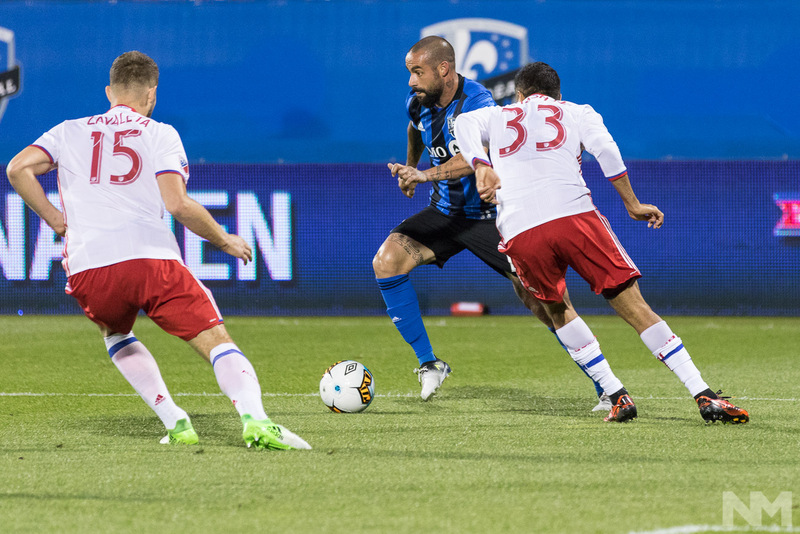 Montreal Andrés Romero (15) dribles the ball during the first-leg match of the Canadian Championship Final between the Montreal Impact and Toronto FC, on June 21 2017, at Stade Saputo, in Montreal, Quebec, Canada. (Photo: Pablo A. Ortiz / NM Noticias). 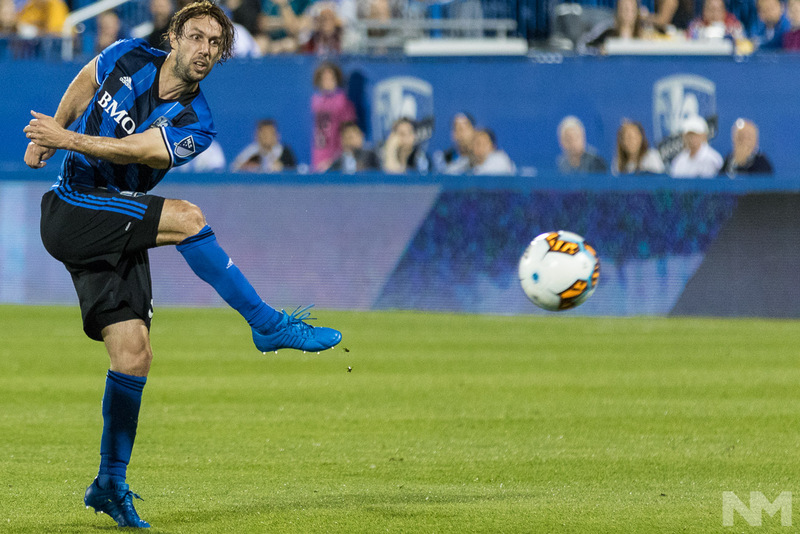 Montreal midfielder Marco Donadel (33) takes a shot during the first-leg match of the Canadian Championship Final between the Montreal Impact and Toronto FC, on June 21 2017, at Stade Saputo, in Montreal, Quebec, Canada. (Photo: Pablo A. Ortiz / NM Noticias). 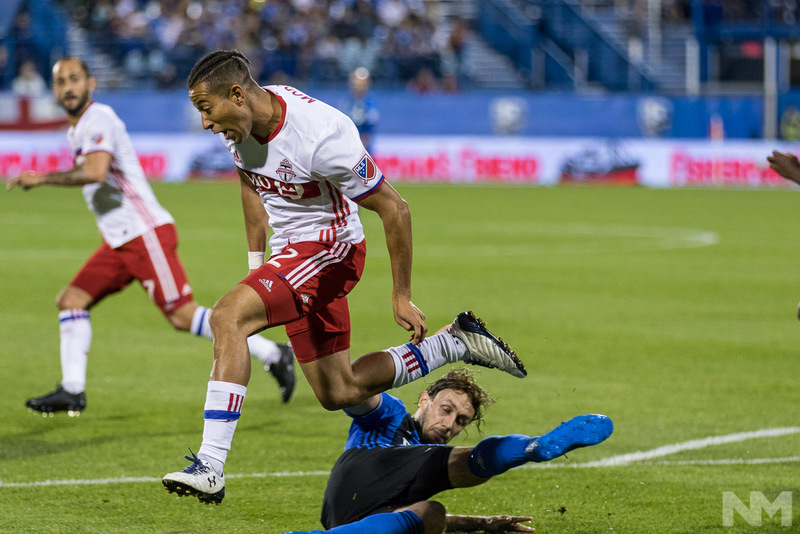 Toronto Justin Morrow (2) hurdles over Montreal Marco Donadel (33) during the first-leg match of the Canadian Championship Final between the Montreal Impact and Toronto FC, on June 21 2017, at Stade Saputo, in Montreal, Quebec, Canada. (Photo: Pablo A. Ortiz / NM Noticias). 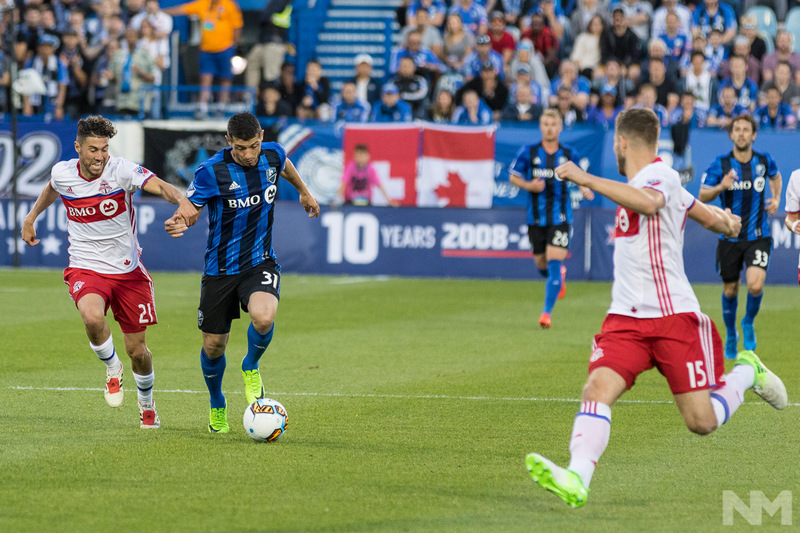 Toronto Sebastian Giovinco (10) fouls Montreal Blerim Dzemaili (31) during the first-leg match of the Canadian Championship Final between the Montreal Impact and Toronto FC, on June 21 2017, at Stade Saputo, in Montreal, Quebec, Canada. (Photo: Pablo A. Ortiz / NM Noticias). 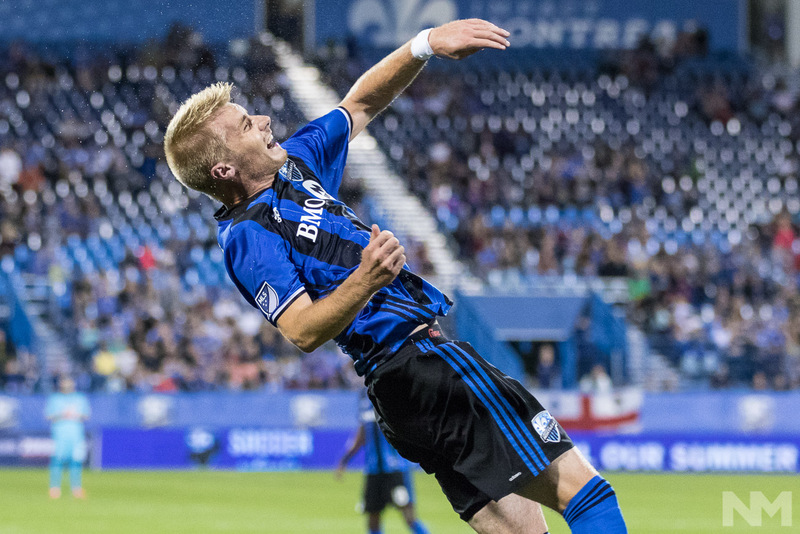 Montreal defender Kyle Fisher (26) reaches for the ball during the first-leg match of the Canadian Championship Final between the Montreal Impact and Toronto FC, on June 21 2017, at Stade Saputo, in Montreal, Quebec, Canada. (Photo: Pablo A. Ortiz / NM Noticias).